Remember the local legend of King Laurin and his rose garden I posted last year? Well, today we went skiing very close to those mountains. 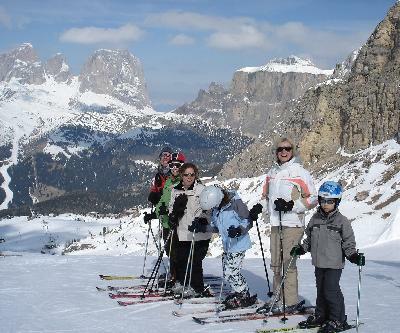 We did a tour around the Sella mountain where connecting ski lifts and slopes form a circuit called the "Sellaronda". 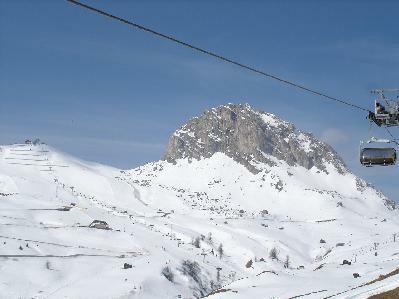 The weather was perfect, the skiing was just great. 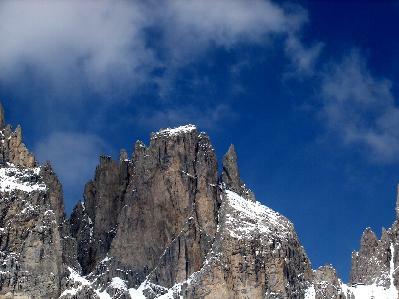 It took us just over five hours to finish the Sellaronda, including a one hour lunch.